It may have been a stellar year for the global box office and TV show performances, yet despite the success, it hasn't kept online piracy thieves away in 2015. On Sunday, tracker sites TorrentFreak and Excipio released data revealing which television series and films were the most popular for piracy in 2015. 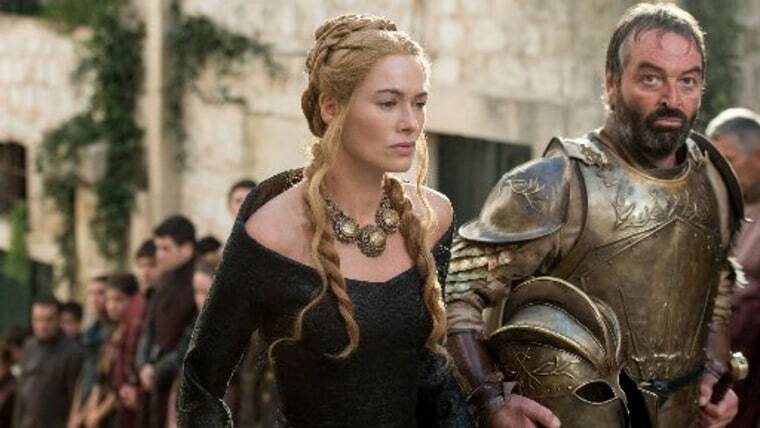 "Game of Thrones" was named as 2015's "most pirated TV show" on the web, with an estimated 14.4 million people downloading season five's finale "Mother's Mercy" via BitTorrent, almost double the estimated amount of its U.S. TV viewers. "Game of Thrones" has won the crown for four years running now, according to data accumulated by the piracy tracking site, TorrentFreak, with 2015's season finale seeing more than half of its downloads in the first week after the episode aired. 2015's figure surpasses 2014's winner, "Game of Thrones"' season four finale, which was downloaded 8.1 million times illegally via BitTorrent. "The Walking Dead" and "The Big Bang Theory" came in second and third for piracy — as they did in 2014 — with their most popular episodes. Newcomers "Mr. Robot" and "Supergirl" made an entrance into the Top 10, having both aired their debut series in 2015. "The results show that TV shows remain very popular among pirates all around the world," Ernesto Van der Sar, TorrentFreak's founder and editor-in-chief, told CNBC via email. "Game of Thrones in particular has a large following, which may in part be due to the fact that people are not willing (or can't) pay for a subscription." The download numbers estimated by the piracy tracker used several sources, however, online streaming and downloads for file-hosting services weren't included, with the firm adding that total piracy numbers overall would be "significantly higher." 2014 blockbusters and some of 2015's highest grossing films dominated this year's most pirated films. Three of 2015's most popular films — all of which grossed over $1 billion worldwide — were a favorite among online torrent users: "Furious 7" (44.8 million), "Avengers: Age of Ultron" (41.6 million), and "Jurassic World" (36.9 million). Christopher Nolan's 2014 sci-fi epic "Interstellar" was named as 2015's most pirated film, with over 46.7 million downloads, according to data by piracy tracking firm Excipio, sent to CNBC via email. Overall, the data show that movies that performed well in the domestic and international box offices in 2015 were also popular with torrent users. In the top 14, up to four films from 2014 featured in the list, all of which were released in theaters from November 2014 onward. As Excipio's data was gathered from January 1 to December 25 2015, 2014 movies that came out late had more time to generate popularity online, with all the top 14 having been released in the summer of 2015, or before. When comparing this data to Excipio's 2014 list, illegal downloading is evidently on the rise. In 2014, Martin Scorsese's "The Wolf of Wall Street" was crowned as the year's most illegally downloaded film, with 30 million downloads, which compared to 2015's list wouldn't even make the top 10. This most pirated films of 2015 was first reported by Variety. Disclosure: CNBC's parent Comcast owns Universal Pictures and NBC.